Lita Albuquerque’s 1980 ephemeral art piece, Spine of the Earth, is to be recreated and performed in the hills above Culver City at the Baldwin Hills Scenic Overlook, and will offer a striking large-scale performance in the fissure of the landscape. Often visible from the I-10 and I-405 freeways, the Overlook has views from downtown to the ocean, setting the stage for a dramatic re-interpretation of Albuquerque’s original 1980 Mojave Desert earthwork Spine of the Earth. For Spine of the Earth 2012 the pigment from the original piece will be represented by 500 performers. Be sure to arrive early so as not to miss the skydiver who will kick off the performance! Please plan to arrive by 11:30 a.m. to allow time for parking. The performance starts promptly at noon. If you are interested in participating as a performer in this historic performance, please sign up here. 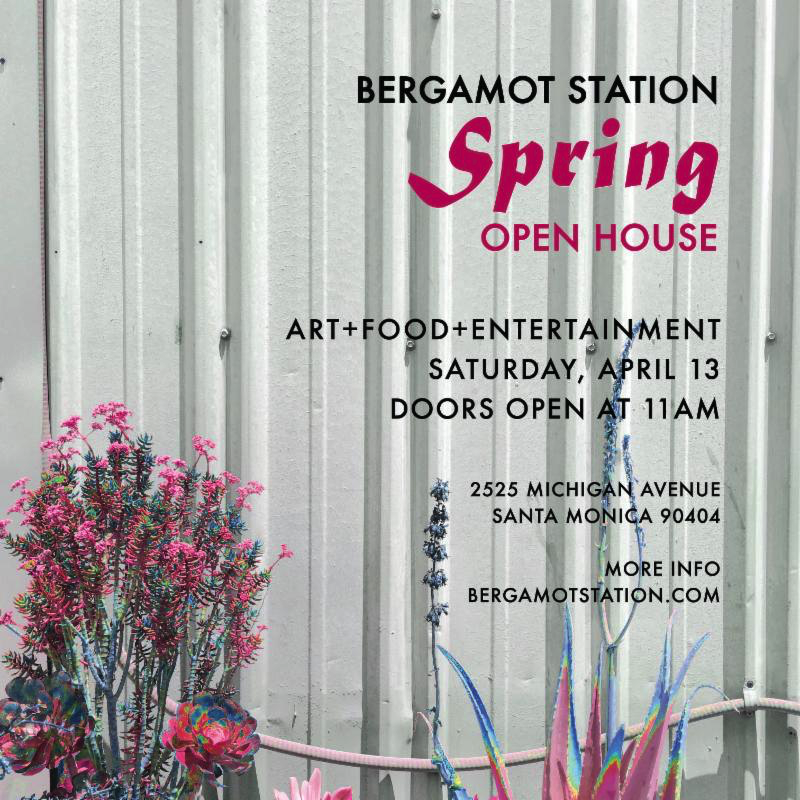 This large-scale outdoor project is in conjunction with 18th Street Arts Center and the Pacific Standard Time Performance and Public Art Festival. Organized by Glenn Phillips of the Getty Research Institute and Lauri Firstenberg of LAXART. 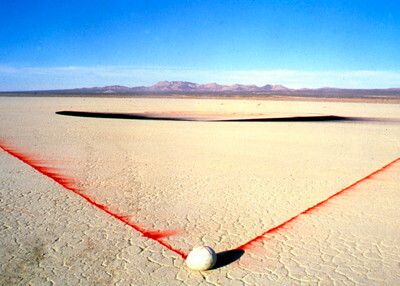 Spine of the Earth was originally created on El Mirage Dry Lake bed by Lita Albuquerque in the Mojave Desert of California, during the Fall of 1980. 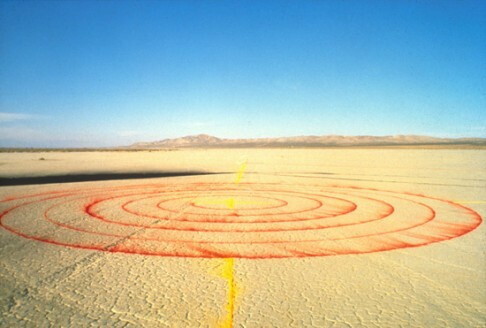 It was an ephemeral pigment-based Land Work incorporating a performance in which participants laid red, yellow and black pigment on the desert floor in a geometric pattern over six-hundred feet in diameter. Albuquerque used the Earth as an almost two-dimensional drawing surface. The final piece could only be seen in its entirety from an aerial view. 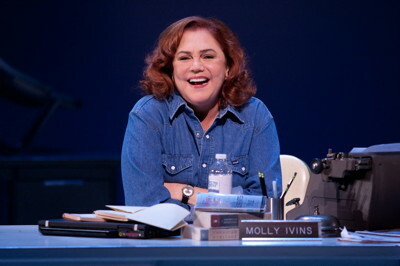 For Spine Of The Earth 2012, Albuquerque is re-imagining her seminal project from 1980 in an entirely new context. This large scale new work embodies a spectral line connecting the Earth’s core to the sky above. Albuquerque needs over 500 people to participate in this performance. So sign up, sign up a friend and join them! Please note that participants should be in good physical shape as they will be walking down a very large and steep series of steps. Free parking is available on Jefferson below the park. Additional free parking will be available in a lot at 3540 Hayden Avenue, Culver City 90232.